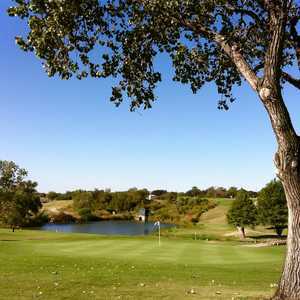 AUSTIN, Texas -- It took nearly a year, but the city of Austin's Morris Williams Golf Course is reopened and better than ever. After a year closed, Morris Williams Golf Course has a larger clubhouse and greens. Located near Austin's Mueller complex just east of the University of Texas (the course used to be the home course of the university) near the old airport, this part of the city is in the middle of a major revamp. The neighborhood population surrounding the course is expected to increase exponentially in the coming years. The renovation, which cost the city about $4.5 million and was completed in January, makes the facility a worthy recreational centerpiece. The course originally opened in 1964 and was named after a legendary local golfer, Morris Williams Jr., who lost his life in a plane crash during the Korean War. The new clubhouse has an art installation paying tribute to him, as well as a rooftop lined with solar paneling, plus a grill & bar, pro shop and balcony with rocking chairs. The fleet of golf carts, which used to come from an old, separate shed down the hill, are now staged underneath much to the delight of staff. For practicing, the driving range has been re-grassed for more teeing positions, and the nets at the end were heightened, so there are no more "irons only" days as was the case in the past. Two practice greens are located next to the first tee, one of which allows chipping. 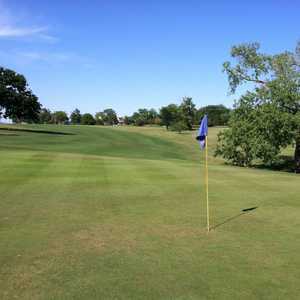 Out on the golf course, the first big difference you'll notice is that on each hole, the greens are significantly larger, in most cases twice the size. Larger greens mean a few things: With more pin positions far apart from one another, they should be able to weather the footsteps of the expected 55,000-60,000 annual rounds played. Also, especially in higher winds, they are easier to hit from the fairway, which can only help the pace of play. Design-wise, the greens have many more contours and mounds that make putting and chipping more interesting than before. One notable green that was redesigned is on the par-4 16th, which has a biarritz-inspired surface with a low tier centered between two higher ones. Several holes were significantly reshaped or redesigned, most notably (and thankfully, quite frankly) the par-4 13th hole. Before, there used to be little you could do off the tee besides layup to a distance that would go just past a tall tree on the left but not too far so as to go into the hazard on the right. Now golfers have options; significant land-shaping and clearing was done to the left of the existing fairway to create a second, raised one. Going for this narrow, left-side fairway will give you a shorter, better look at the green than from the one below it. Many fairways had mounding built to the sides of fairways to help corral balls, while other fairways were reshaped to increase the size of landing areas. No. 7 and No. 15, for example, each had a fairway that seems to kick balls, particularly in dry conditions, into the trees. But both have been reshaped to be more fair off the tee. It's good to see the city of Austin pumping investment into their municipal courses (even nine-hole Hancock Golf Course is currently installing new irrigation). Particularly Morris Williams, which, in my opinion, has the best site of the bunch: naturally rolling with pleasant, mature trees and some nice, natural and artificial water features. Now with a championship yardage more than 7,000 yards from the back tees, Morris Williams is long enough to compete with Roy Kizer and Jimmy Clay Golf Course. This year, it will host the finals for the Men's City Championship as well as the Five-A High School state finals. While this may be arguably the best layout amongst the city's munis, green fees are a steal: $21-$24.50 walking compared to Roy Kizer Golf Course's $34 walking rate. You're just minutes from some great new restaurants on Manor Road after golf at Morris Williams. For a casual burrito, stop off at El Chilito. Or dine in with Tex-Mex cuisine at stylish but casual Vivo. For comfort food, stop into Hoover's Home Cookin' for chicken-fried steak, jalapeno corn bread and barbecue dishes, among other soul food favorites.